Jim and Greg dig deep for Buried Treasures. They spotlight great albums buried under the Top 40. 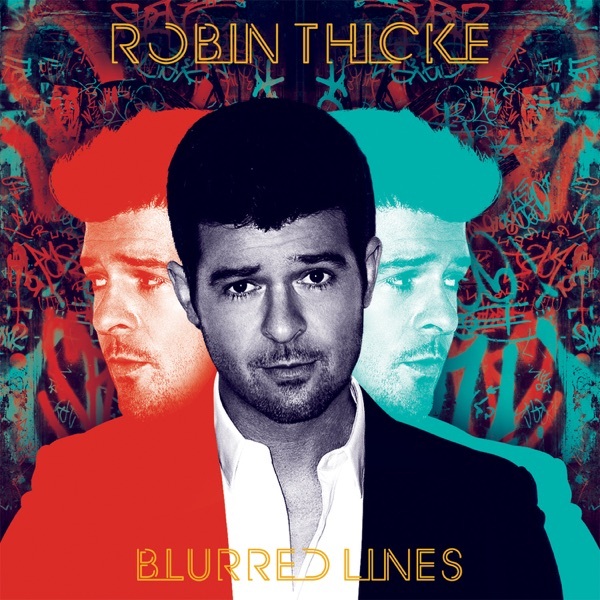 Then it's back to the charts for a review of the latest from blue-eyed soul singer Robin Thicke. It's been a rough week for digital music. First Radiohead frontman Thom Yorke and producer Nigel Godrich openly criticize Spotify and boot Atoms for Peace songs from the streaming service. The, the Musicians' Union in the U.K. threaten a boycott if Spotify doesn't raise its royalty rates. And now Aimee Mann is suing MediaNet, which provides millions of songs to dozens of music services. She's seeking damages for "willful copyright infringement." Sure, we could imagine Bono going for an “EGOT,” but "Commander"? The Irish rocker was recently awarded the country's highest cultural honor: Commander of Arts and Letters in recognition of his contributions to the arts and to charity. Rapper Nas was also given an unusual honor. Harvard University has established the Nasir Jones Hip-Hop Fellowship as part of its Hip-Hop Archive and W.E.B. Du Bois Institute. Since its launch in 2008, Record Store Day has become something music fans eagerly anticipate. And now they'll also have…wait for it…Cassette Store Day! True, there aren't many stores that solely sell cassettes, but on September 7, a number of bands will release special cassettes and artists like The Flaming Lips, Deerhunter and At the Drive-In will reissue albums on cassettes. So breakout your Walkman and get ready. Purling Hiss, "Water on Mars"
Prob Cause, "The Recipe Volume 2"
Now it's back to the charts, where Robin Thicke's catchy single "Blurred Lines" has dominated for weeks (proving once and for all that music fans want more cowbell). Before he achieved YouTube ubiquity, Jim reminds us that Thicke was just another journeyman blue-eyed soul singer. He'd written hits for artists like Brandy and Christina Aguilera, but failed to gain much recognition for his solo work. He's changed that with Blurred Lines, his sixth studio album. Does the record measure up to its single? Greg says no. He loves the“Blurred Lines”groove, but relents that the album's lyrics are full of“single entendre”idiocy.“This is a dumb R&B record,”he says, "Trash It." Jim agrees that Thicke's lyrics leave a lot to be desired, but gives him credit for crafting the kind of fun danceable tracks we‘d hoped to get from Justin Timberlake’s 20/20 Experience. On the strength of“Blurred Lines”alone, Jim says Burn It.